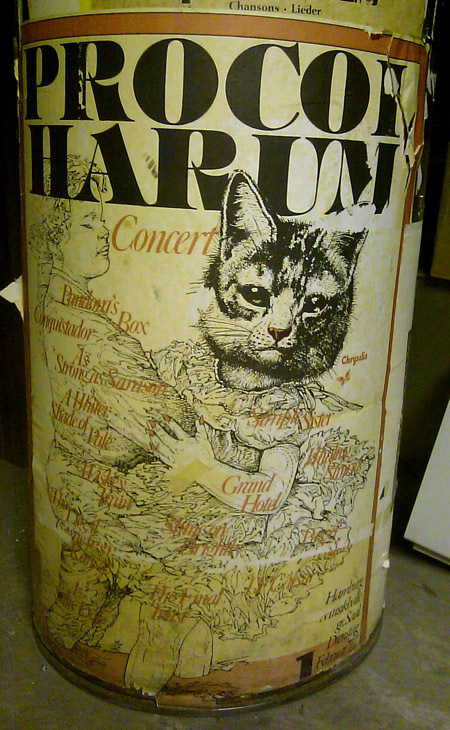 A growing list of Procol dates, sent in by visitors to this website Kevin Kamphaus sends us the picture below of a beautiful and apposite poster (for a band named after a cat) that he photographed 'on a decorative pillar at the German language area of the University of Cincinnati'. A fan's memory of early US dates: can you help flesh them out? Tour venues (US ones from a tee-shirt! ): dates needed!